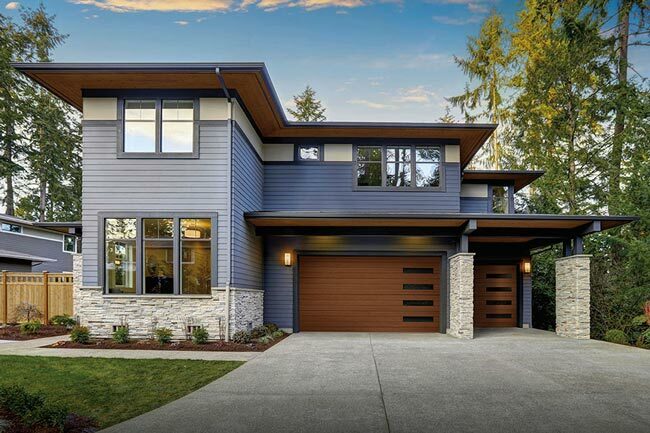 Canyon Ridge Modern Series faux wood garage doors are constructed from a durable, low-maintenance, composite material that won’t rot, warp or crack. 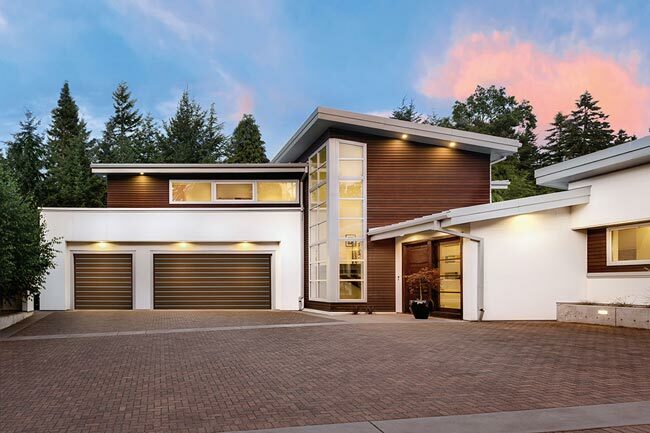 This series offers a range of contemporary garage door styles that beautifully complement mid-century and modern homes. Choose from horizontal plank designs, aluminum inlays, and full-view glass options, all with faux-wood finishes that won’t rot, warp or crack. 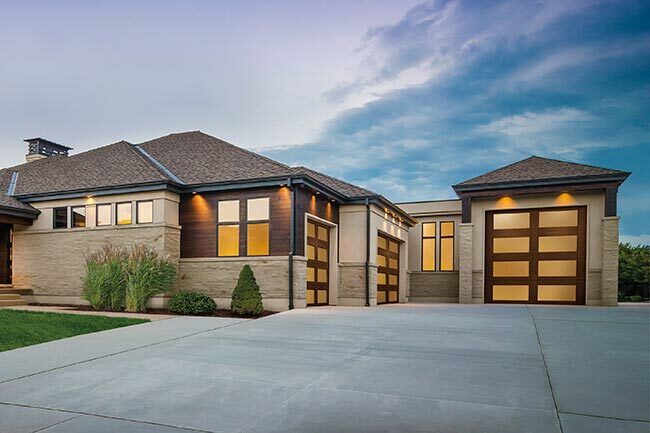 These low-maintenance garage doors are the perfect way to highlight natural materials and other textures on your home’s exterior. 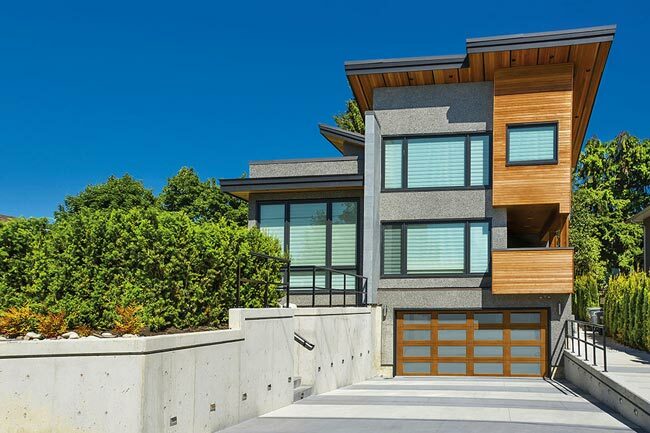 Clean horizontal lines, sleek windows and aluminum accents.